30 Minute Intro Sessions : These are custom tailored sessions designed to address the needs of each individual client. We also look at coordination level, body awareness, and overall stamina during these intro sessions. WHAT ARE MY TRAINING OPTIONS AFTER I COMPLETE INTRO SESSIONS? Several membership options are available once a new client completes the intro package. Current conditioning status, exercise history, personal schedule and budget will all be taken into consideration when selecting your new fitness program. We will work together to come up with the right fit. Individual training sessions are great for beginners. 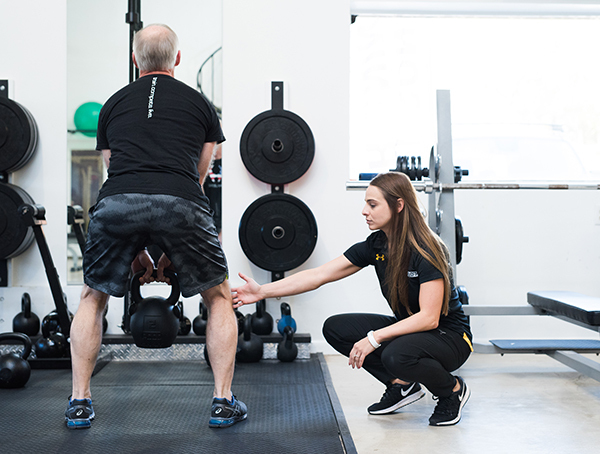 These one-on-one sessions allow the trainer to focus on technique and exercise progression in a very detailed manner with the client. Semi-Private training sessions are open sessions in which 2-6 clients share floor time with 1 trainer. These are a great option for individuals with a moderate amount of exercise experience or for those adhering to a personal budget. 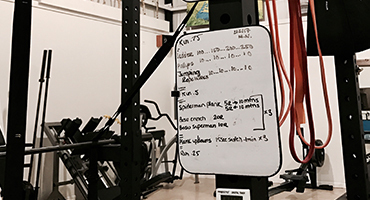 These are custom workouts written for you on your own personal white board. Great for individuals with a solid exercise history. Grab & Go workouts come with an AM/PM option!Boar ds are to be used within 1 month of purchase. Unused boards do not roll over into following month. It is recommended that you do schedule a private personal training session every so often. This gives the trainer the opportunity to add new exercises and progress existing exercises to your board workouts. Schedule a spin class around YOUR schedule! Choose a ride from the on-demand library or take part in a LIVE ride! 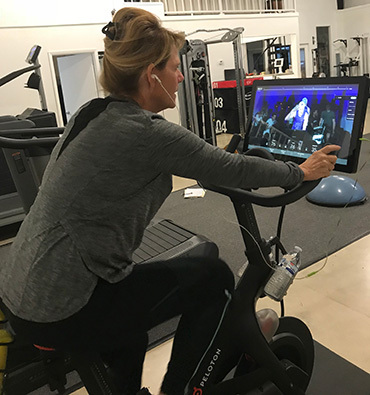 You will be able to see, hear, and participate in a live spin class. It is truly an awesome experience! 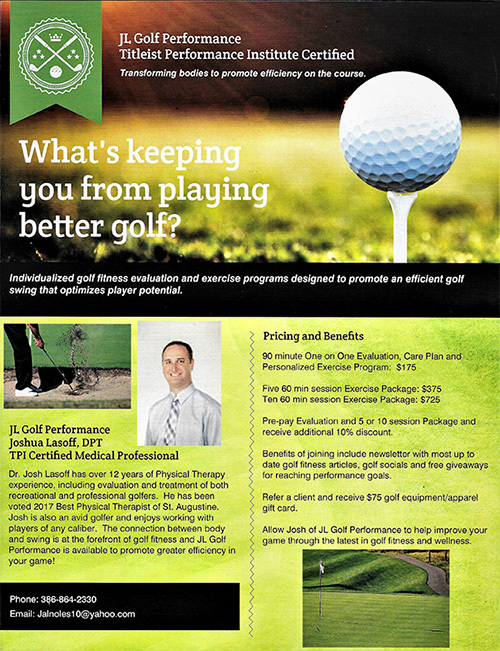 We have Dr. Josh Lasoff (Voted 2017 Best Physical Therapist in St. Augustine) providing specialty services for golfers! 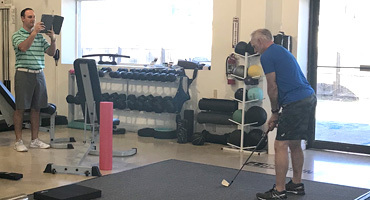 He is a Titlesit Performance Institute Certified Medical Professional and is here to help individuals improve their swing and help optimize performance out on the course. Keep on track and reach your fitness goals! Tanita Professional Scale with Health Ware Tracking. *Tanita is the standard and market leader for body composition analyzers.